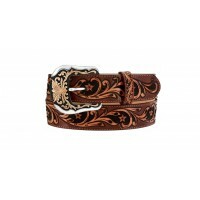 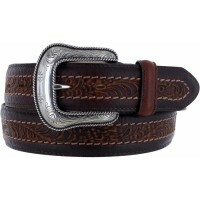 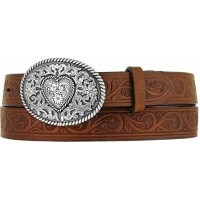 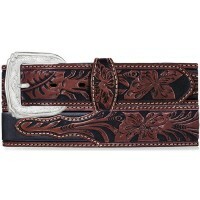 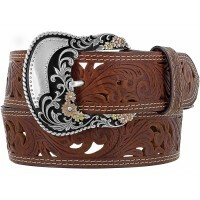 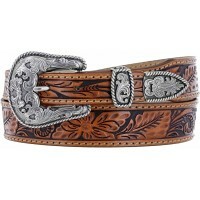 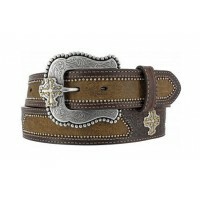 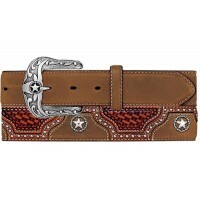 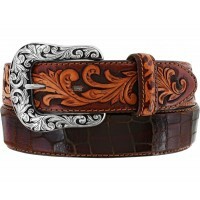 Brown leather belt with roughout inlays, barbwire cross conchos, and a removable buckle. 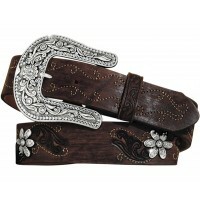 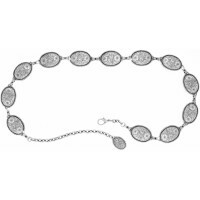 The belt measures approx. 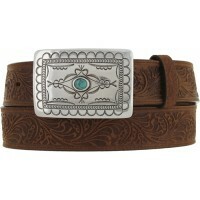 1 1/2 inches wide. 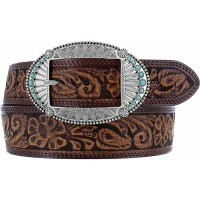 Stunning leather embossed with floral western motifs is enhanced with a buckle that features etched feathers and turquoise-hued howlite. 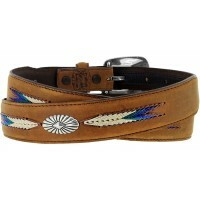 Distressed leather complimented by traditional native feather embroidery. 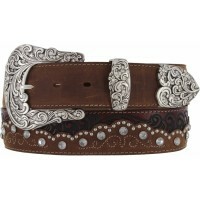 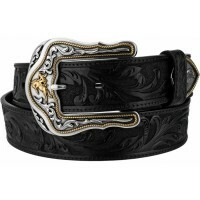 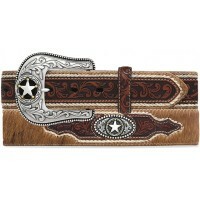 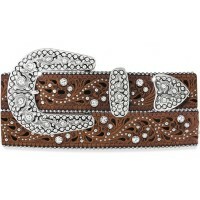 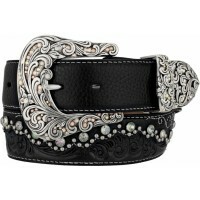 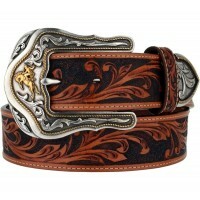 Engraved silver conchos and buckle.